Did you ever feel like you actually felt a spark of sorts in your heart emotionally speaking? I call it a “heart spark”. Recently, I have been reading content and meditating on the notion of a heart spark. It is a phrase that musicians like Big Daddy Weave in “Love Come to Life” and many others have used within their lyrics to bring out the beauty of the emotions created when true love is shown in the world. I want to challenge and encourage you today to never forget how much power we have within us each day. We can change people lives for the better by showing love intentionally while creating a heart spark. In this post, I will share some practical examples of doing just that! Scripture has also reminded me recently of the power and beauty of love, and how much God values it. “7 Dear friends, let us love one another, for love comes from God. Everyone who loves has been born of God and knows God”. Also, I have recently read a good book called The Resolution for Men (and there is a version for woman too) and in it, I found many great reminders of encouragement about what a heart spark might look like for a man: “Love is like rocket fuel that emboldens a man to serve his family, sacrifice for his neighbor, and lay down his life for a friend”. 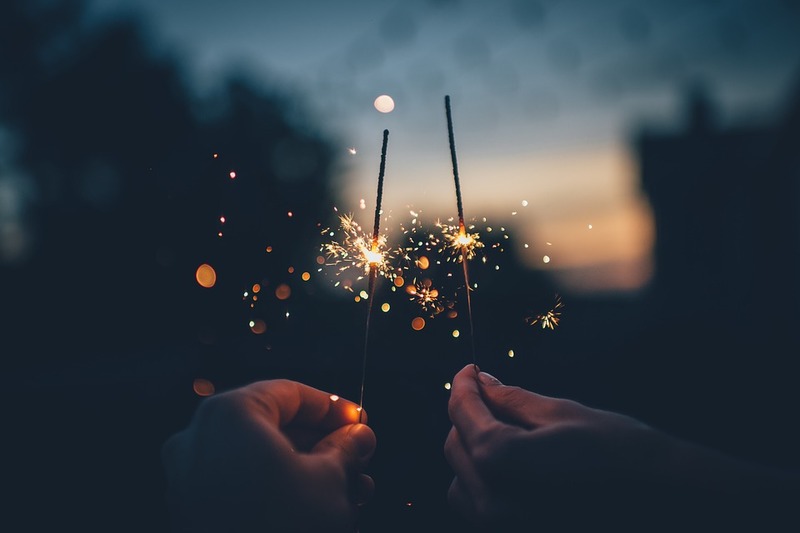 Below are some practical examples of how you can be a part of the movement of creating a heart spark in your circle of influence, and you don’t need to wait to have sparklers on July 4th to do so. 5 Ways to Witness and/or Ignite a Heart Spark! Knowing people are praying for you. – Recently I was reminded of this when I was contacted by several friends after a swing dance unexpectedly, simply to let me know that they not only listened to me and cared, but that they were lifting me up in prayer. They might not have known it, but it created a heart spark for sure! The power found in smiling. – There is much power in smiling at a stranger and saying hello to them. There is also so much power in witnessing the playfulness in the smile of a child. Adults could be reminded and learn much from them by stopping to see such heart sparks! Giving and receiving unconditional love. – When you are able to not only focus on serving someone, but can fall in love with the concept of doing it freely from your heart in an on-going fashion, well then you are witnessing the change with you through a heart spark. You can transfer that love and ignite it in others. It is easy to do. Open your home to someone and cook them a meal and spend quality time with them. Show them your heart. Engaging spiritual conversations. – A great way I have found to see a heart spark is by building a great bond built on a firm foundation with someone you care about. When God is in the middle of your conversation, nothing but beauty can come from it. It is a great idea for a date night for married or singles. Simply find a place where you can spend quality time studying the bible together and/or talking about what God is doing in your life, teaching you the most or showing you most. Playfulness found in trying new things. – One great way I have found to ignite a heart spark (especially the older you get) is to be open to trying to news and being adventurous. You don’t need to travel the world to do it either. For example, I recently tried and old-school past-time of duckpin bowling at a place in Hershey, PA with a friend. It brought out the child in us both, and allowed my heart to remember fond memories of my father who passed away in 2004. When you have the chance to try something new, do it. You will not look back in life on your last day regretting what you did but didn’t like. You will regret the things you know you should have tried, but didn’t. *I help my coaching clients focus on important life lessons like these so they can achieve better balance both personally and professionally. If you’d like to find out more about my life coaching company, Live With Purpose Coaching, feel free to contact me at (717) 283-2377. Posted in Impressions, Spiritual Insights on April 29, 2012 by joesharp.